Wow time is flying this month. Back on June 3rd, I released my Retro Rollers pattern for purchase! I can't believe it's already been a week and I'm just now finding the time for a post, crazy. 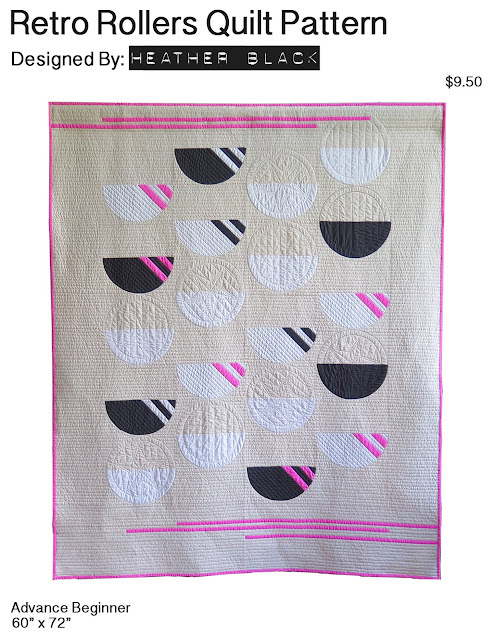 Early this spring I was instantly inspired a couple neon pink prints for Cotton + Steel and designed this quilt. I was so much fun to make that I wrote a pattern and found two great pattern testers that kindly agreed to a quick turn around, thank you Christa and Haven!! The pattern has easy to follow instructions, diagrams, templates and features a unique diagonal stripe technique. The PDF download is available at Etsy.com and Craftsy.com or you can go to the pattern tab above and click through to my Etsy shop. I also have some news on all those challenges I took part in this Spring. 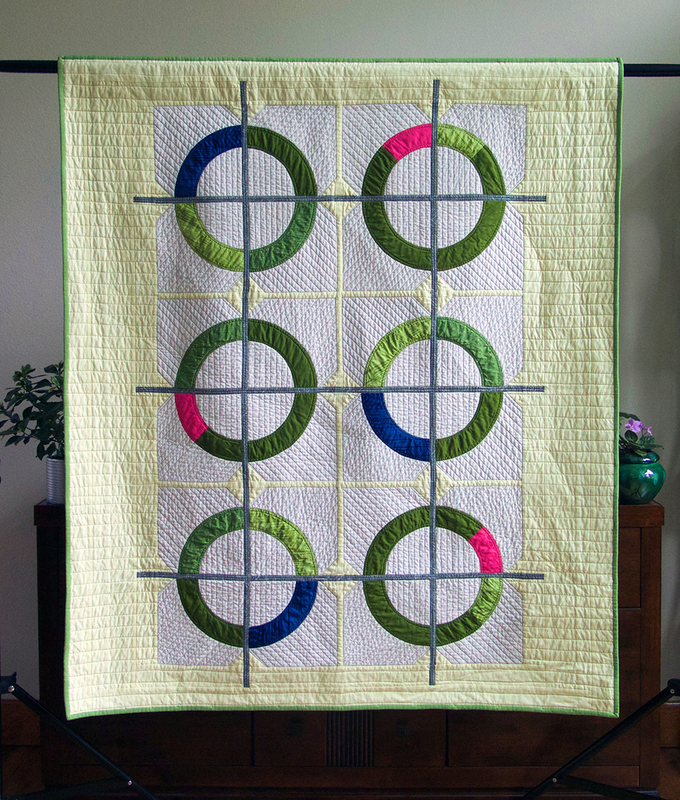 First after participating in Curated Quilts mini challenge I received notification that Intersections 2.0 was picked to be featured in the first issue of Curated Quilts! 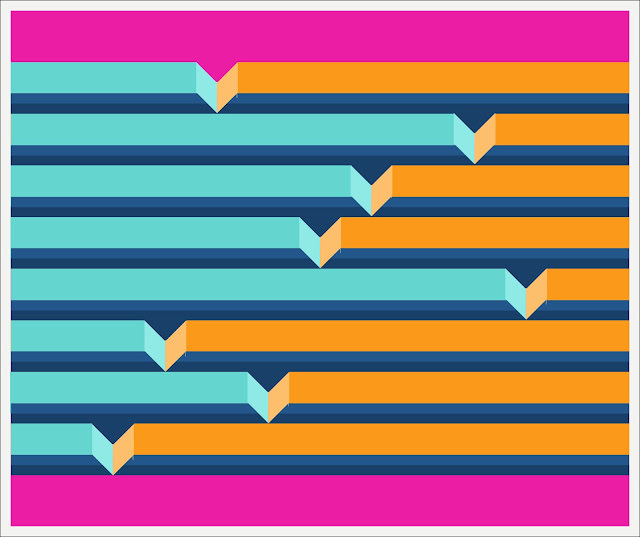 The third challenge I entered but the second to send out notifications was Quilt Expo's Modern Mini Quilt Challenge. My All's Fair in Love and Board Games quilt placed 11th and I won 4 three day passes to Quilt Expo. Check out all the winners here. My friend Trinia, also in Spokane, placed fourth! After the winner's were announced a representative form Quilt Expo contacted me and asked if I would like to submit my quilt to the Modern Mini Challenge showcase at Quilt Expo this year, very exciting! Finally, the winners for the Pantone Quilt Challenge, hosted by Rebecca Bryan and Sarah Sharp, were posted. 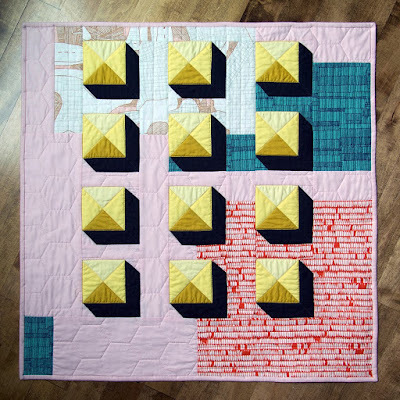 I didn't win the Pantone challenge but a day or so later I was asked by Make Modern Magazine for permission to feature my Focus Frame quilt along with other quilts from the Pantone challenge in their magazine... of course!! What an amazing honor! 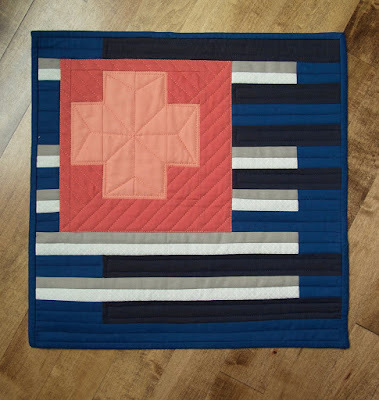 I haven't been a huge fan of challenges in the past but I really enjoyed designing and making the these three quilts for different reasons. The challenges also helped me grow as a designer by making quilts to fit the challenges parameters while staying true to my own artistic voice. I wasn't very pleased with the design. While I could definitely see my design inspiration, it just wasn't what I anticipated. 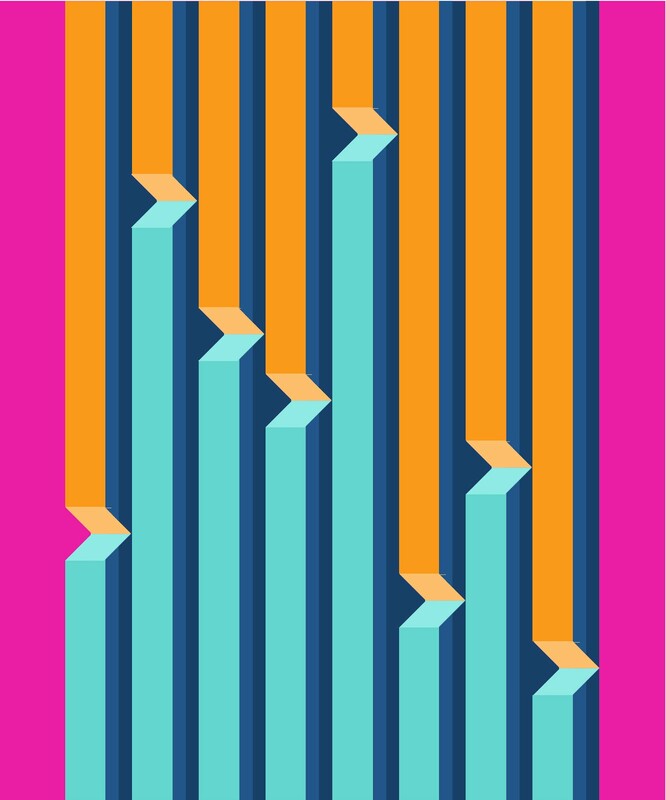 Then by chance I rotated the design clockwise 90 degrees. I was pleasantly surprised. I also threw a white border on to pull it all together. 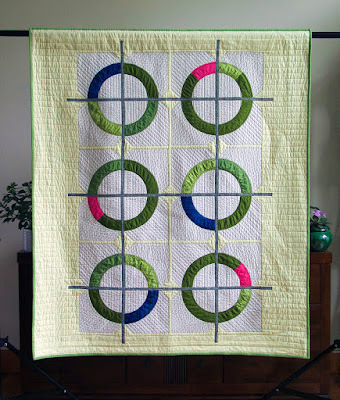 I have quite a few quilts on must make for Quiltcon list so I don't know when I will get to this design, probably later in the summer, but I definitely want to get this made, and maybe add a few prints.